TravelGuard provides our clients with the most comprehensive travel protection insurance available in the World. All of the travel packages sold through our company require a non-refundable deposit and final payments paid well in advance to confirm your order. We understand that this may be a financial risk to our clients to attend an event so many months in the future. We also understand that sometimes unforeseen events happen in our lives… your child or family member may suddenly get sick, your boss may suddenly require you to stay back at the office, or you may just decide that you no longer want to attend. We recommend Protect Assist Gold Travel Insurance. The Protect Assist Gold plan is our most popular package of travel insurance and assistance. This coverage for travelers and families includes coverage for children under the age of 18 at no additional cost. It also provides additional benefits when purchased within 15 days of initial trip deposit, including coverage for coverage for pre-existing medical conditions and financial default. 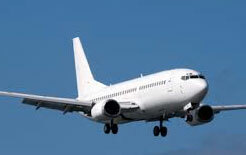 Coverage for financial default of an airline, a cruise line or tour operator. Missed Flight Connection benefit increases to $500 per person. Flight Guard coverage of $50,000 per person. **Day one is the date the trip payment was received. Decide not to go or have to cancel because of work is now not a problem! Get 50% reimbursement of nonrefundable expenses if you cancel your trip for any reason not otherwise covered under the policy, up to 48 hours prior to your departure. This is only available when this plan is purchased within 15 days of initial trip payment.